During the late 19th and early 20th centuries, interest in earthquake and their effects increased in Japan, Italy and the United States (Particularly California) (Freeman, 1932; Housner, 1984; Usami, 1988; Hudson, 1992; Elnashai, 2002). This was mainly a consequence of major earthquakes such as; in Japan, the 1855 Edo (usami, 1988); 1891 Mino Awari (Housner, 1984) and 1923 Kanto Eartquakes; in the United States, the 1906 in San Francisco, California and in Italy, the 1908 Messina. According to Hu et al (1996) “Earthquake Engineering (EE) started at the end of the 19th century in Europe and afterward, EE developed in Japan at the beginning of the 20th century”. Usami (1988) stated “The professional practice of EE began after a severely damaging earthquake that struck Tokyo in 1855. Furthermore, Usami (1988) also indicated “in 1914, Sano, a Japanese engineer, marked the beginning of quantitative work in EE in Japan. On April 18, 1906 a major earthquake (Mw 7,9) struck San Francisco and northern California. 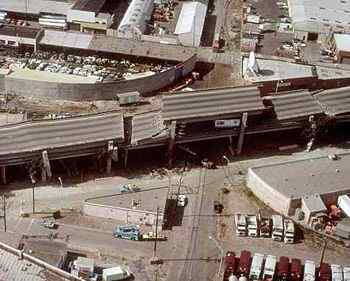 More than 430 km of the San Andreas Fault was ruptured during this earthquake, which caused considerable damage in San Francisco and northern California. As a consequence of the 1906 San Francisco earthquake, the Seismological Society of America (SSA) was established in October 1906, and the structural Association of San Francisco in June 1906. Nearly a century later, the SSA is still a very active prominent organization dealing with various earthquake issues. The meetings of Structural Association of San Francisco were mainly concerned with improving fire protection, and the association faded out of existence in December 1906 (Geschwind, 1996). Also a result of the 1906 San Francisco earthquake, a State Earthquake Investigation Commission was formed. The commission produced two volumes of reports. The first, published in 1908, included detailed suggestions on proper construction of wooden houses and occasional advice on haow buildings might be strengthened against earthquake. The second volume, published in 1910, contained a theoretical discussion od the 1906 earthquake, in which H.F Reid (1910) presented the elastic-rebound Theory of earthquakes. On December 28, 1908, a large earthquake (magnitude 7,5) devastated the city of Messina (Italy) with a loss of 83.000 – to 120.000 lives. A special commission was formed by the government to investigate the earthquake and to provide recommendations. According to Housner (1984), this earthquake was responsible for the birth of practical earthquake design of structures, and the commission’s report appears to be the first engineering recommendation for earthquake resistant structures by means of equivalent static method. Fifteen years later, on September 1, 1923, the magnitude 8.3 Kanto (Japan) earthquake caused severe damages in Tokyo and Yokohama. This earthquake also contributed significantly to the progress of earthquake knowledge in Japan, including the establishment of the Earthquake Research Institute . the institute was at the Imperial College of Tokyo and was headed by prof. Kyoji Suyehiro. It took from the book entitle “Earthquake Engineering-From engineering Seismology to Performance-Based Engineering” Edited by Yousef Bozorgnia and Vitelmo V. Bertero. This entry was posted in Bahasa, Buku. Bookmark the permalink. Sekedar memberikan usulan terhadap tulisan dengan topik Early Years of Earthquake Engineering and Its Modern Goal. Kajian mengenai kegempaan sangat menarik dan luas. Saking luasnya, kadang kala kita melupakan asal muasal gempa itu sendiri. Gempa merupakan fenomena natural yang memang harus terjadi, pelepasan energi bumi dari inti bumi harus dilakukan, jika tidak maka akan terdapat (prediksi ilmiah) suatu pelepasan yang dasyat yang dapat memecah bumi itu sendiri. Gempa berakibat kepada kerusakan di permukaan bumi, itu tidak bisa dihindarkan. Mengkaji gempa patut dimulai dengan apa itu gempa ? bagaimana fenomena terjadinya ? bagaimana energi dilepaskan melalui bentuk gelombang ? apa itu seismologi kegempaan, dll…. Gempa tidak membunuh manusia, namun strukturlah (baca:struktur bangunan) yang dapat menyebabkan manusia terbunuh…kajian engineering dalam earthquake, berarti menyikapi energi seismik di permukaan yang mempengaruhi kondisi alam lain dan infrastruktur baik dalam aspek geotek, struktur, oceanografi, coastal, dll. FYI, if you want to write an article related to the current EQ, you can access the USGS web. They provide current information of EQ around the world and some important indicators of seismology such as PGA, displacement, epicenter, after shock analysis, EQ zones, etc. And you also can learn some interest articles attached in the web. For EQ in Indonesia, you can refer to Direktorat Vulkanologi dan Mitigasi Bencana or BMG website. They present the current situation of Indonesia EQ. To write EQ article, you must consider the geological aspect, particularly for sedimentary soil site, loose sand site that has a liquefaction potential and layered soils media.